It is claimed in certain quarters that there is only limited value in having a third place play-off in a tournament. Indeed, it is argued, if such a match can at all showcase anything, it will only be the disappointment of two teams that both failed to reach the final. Yet, history has shown time and again that third place play-off matches often become the source of the most entertaining football. This game between the Philippines and Palestine in the AFC Challenge Cup 2012 was no different. That the Philippines won on current form and quality was only deserved. That it had to ultimately make a labour of it when there were plenty of chances to make it a stroll in the park one can put down as part and parcel of the third place play-off syndrome. Palestine, expectedly, lost 0-2 to DPR Korea, the latter always being the tournament favourites, anyway. The Philippines, on the other hand, probably needed to pick themselves up more for this game, having led Turkmenistan all the way to the 89th minute in the two teams’ own semi-final. 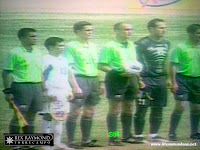 Yet, it was the Philippines that took the early lead in the 3rd minute. 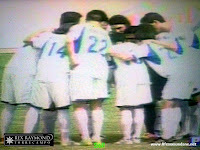 Angel Guirado played a short ball to Chieffy Caligdong, who released it first time first time into the path of Phil Younghusband. Younghusband surprisingly found himself in a one-on-one with a Palestinian defender, but still had work to do. This he did brilliantly. First he appeared to be drawn wide to the right of the ball. Then, he quickly cut the ball inside and expertly placed the ball with his left foot past diving Palestine goalkeeper. Defending by both sides, it must be said, deteriorated to levels that approximated Sunday park quality. Both midfields were wide open, allowing attacks to flow from end to end. The football was enthralling; but it was probably not for the connoisseur. Paul Mulders could have given the Philippines an early 2-nil lead after dispossessing Palestine’s last man in the 15th minute. His shot, however, rebounded back from off the leg of the goalkeeper. From this point on, Palestine started to seize control of the game. The players started to string neat passes together and create chances to score. In the 18th minute, a long ball from deep in midfield found a Palestine striker behind the Philippines defence with a clear sight at goal. The angle was against him and the shot went straight into the side netting. A minute later, the left winger was given time and space to cut inside and fire a rasping shot at goal. The ball, thankfully, hit the bar and went out of play. That these two warnings should have been heeded really needs no elaboration. Indeed, the phrase ‘third time lucky’ could not have been starker as Palestine scored in the 20th minute of the game after the Philippines’ midfield was again caught upfield. If the Philippines’ defence was in eco-mode, though, Palestine’s went on vacation. Just two minutes later, neat interplay between the Filipinos sent Caligdong through inside the box. He was unceremoniously upended, and from the ensuing penalty, Younghusband scored his fifth in the tournament. Juan Guirado could have increased the lead in the 33rd minute, stabbing the goalwards after being set up by James Younghusband. The shot, though, was saved. It took another Guirado – Angel – to give the Philippines its desired two-goal cushion. He was at the end of a wonderful pass to the right of the Palestine penalty area. The goalkeeper left his line to close him down; but Guirado’s quality was such that he was able to find the net even from a narrow angle. Both teams appeared to have tightened up somewhat after the break as the match slowed down from the breakneck speed of the first half. However, the match burst into life once again in the 66th minute when Ray Jónsson allowed a cross in for Palestine to reduce the Philippines’ lead. As in the first half, Palestine lost its concentration almost immediately after getting back in contention. 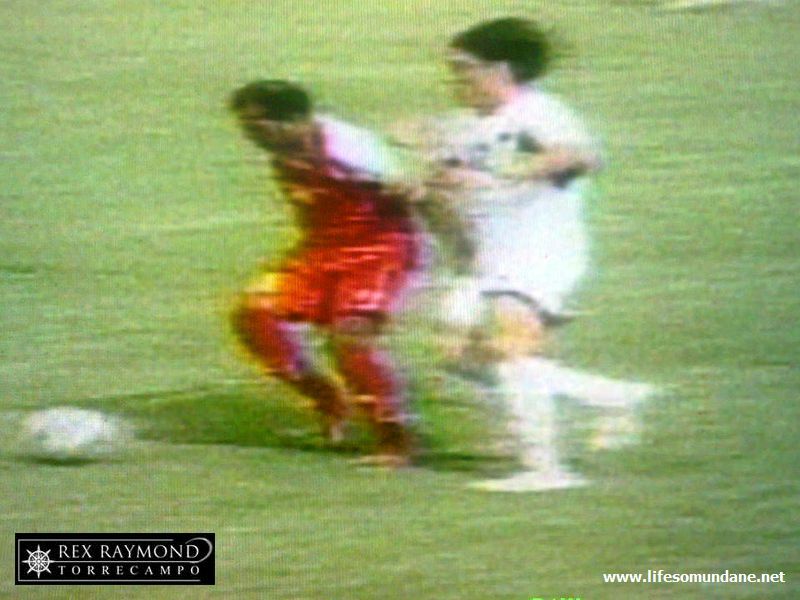 Just two minutes later, Juan Guirado won the ball in midfield, strode forward with it and then played a neat ball to Phil Younghusband. The return ball found Guirado with space behind the Palestine defence and his finish was one that many strikers would be proud of. All credit to Palestine, it was like a cold that just would not go away. In the 77th minute, indecision just top of the Philippines’ box culminated in Jason Sabio stabbing the ball right into the path of a Palestine player. 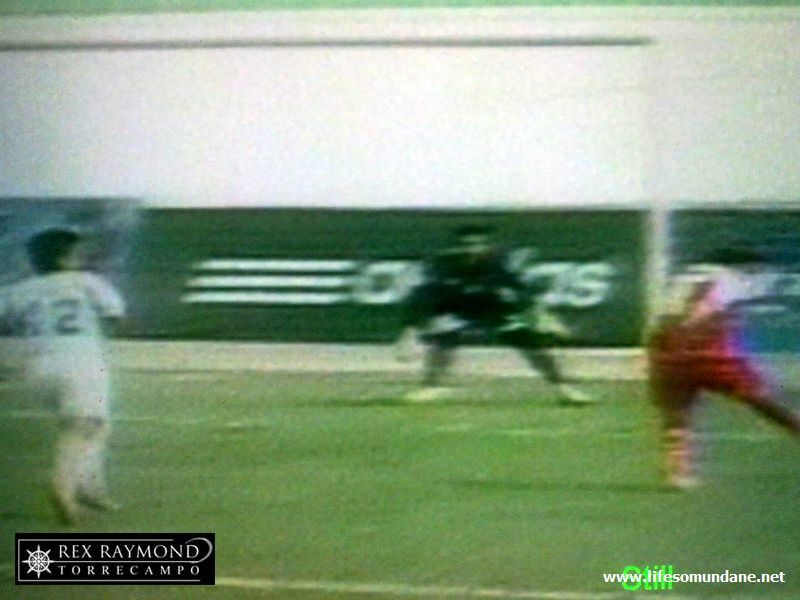 The shot left Eduard Sacapaño in the Philippines’ goal with absolutely no chance. Fortunately, that was all that Palestine could muster, although its players continued to push forward in search of a goal that would send the game into extra time. The Philippines sent in Jason de Jong and Marwin Angeles to tighten up midfield and packed the front of the goal with men to keep the Palestinians out. In the end, the Philippines held on to win the game and cap a fairytale finish in the country’s first-ever participation in the final stages of the AFC Challenge Cup. The final score was 4-3. The third place finish is the country’s greatest footballing achievement in modern times.